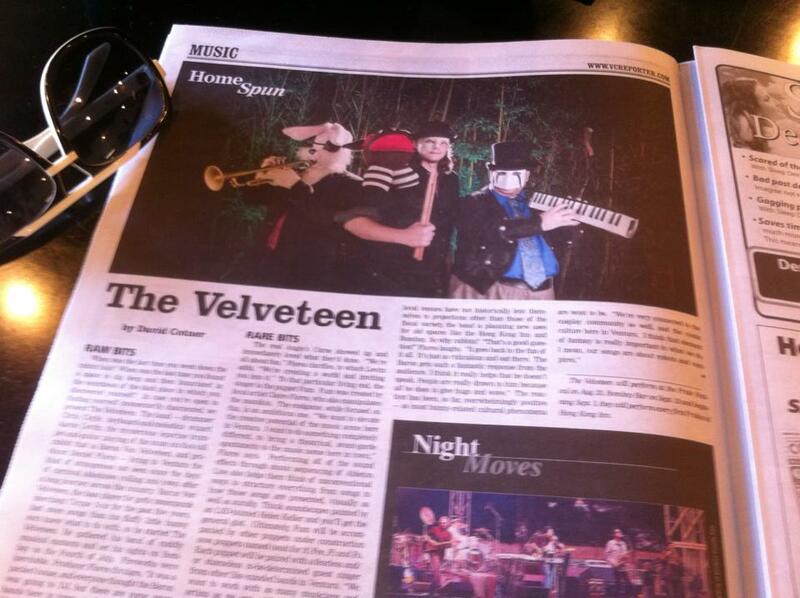 First off, our very first interview got printed in the Ventura County Reporter this week! I can’t tell you how excited we were to see that beautiful layout and read all the kind words. There are a few clarifications we’d like to make, though. And let’s be clear, these misunderstandings are entirely our fault. We spoke at breakneck speed, jumping wildly from subject to subject, and the author did an admirable job of keeping things as straight as he did. But for the sake of our future wikipedia article (one of you get on that! ), let’s just re-tell a few stories. 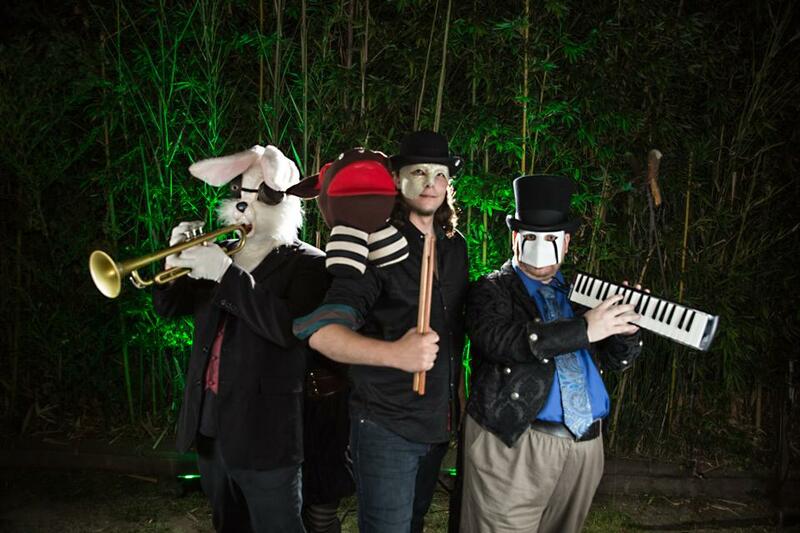 The Baron has played bass with Cirque Noir for the past five years, and remains an active member of that group. As a bassist, it’s difficult to pick up a trumpet or rock the occasional guitar solo because the bass part still needs to be covered. If you’ve ever been stopped by reality before, you’ll understand why, at some point, all of his new songs became centered on those instruments, and it became necessary to form a whole ‘nother band. There are two stories of our first performance, because there were two first performances, as two different bands. Again, it’s easy to see why these got merged. Our first show as “the Velveteen” was at the after party for Pop Stuff Expo 2014. The Baron was commissioned to DJ a set, and we told everyone that he’d be doing exactly that. It was a long evening full of great performances and we didn’t expect anyone would stick around for a DJ set after all of that. Those who did would get a nice surprise. Our second show, we wanted to continue surprising the audience, but we knew we couldn’t use the same gag — they’d see it coming a mile away. So to vary it up, we booked a second band. A cover band, paying tribute to Ventura goth legends Angie’s Curse. This band was, for the most part, also the Velveteen. As a special treat, we had Dita McEvil join us on vocals. Also, in the kind of last-minute drama that always seems to follow us, Fum (originally intended to sing back-up for that set) had a personal injury after the Velveteen set, and producer Dan Flores had to cover guitar while the Baron rushed Fum to get stitched up. It was great to play with Dan, but we wish it could have been under better circumstances. Fum is fine, by the way. Thanks for asking. You can see that performance here. We managed to keep our identities a secret for weeks leading into the show, which probably drove Angie’s Curse a bit mad at the time, but has since brought the bands closer as friends. We still perform with Dita occasionally, as that show was so much fun. In fact, we’re backing her up again at VC Pride on August 23rd. Dan, we haven’t been able to get back on stage yet. But we’re trying. The Velveteen does not give up easily! Since taking this interview, Dita McEvil and members of the Velveteen teamed up to make Amneris Monster‘s first performance an event worthy of his incredible talent. We look forward to further collaboration with him, and others. Special thanks to photographer Teal Scott for making us look good! There have been a few shake-ups since going to print, and we should be more specific about which of our various incarnations are going to appear at one show or another. To that end, I’d encourage visiting our Upcoming Shows page for all the latest info! Previous PostCirque Noir: “Big Top” Music VideoNext PostWeek of Firsts – We’re on the radio!